Vizianagaram is a city and district headquarters of Vizianagaram district in the Indian state of Andhra Pradesh. It is a municipality and also the mandal headquarters of Vizianagaram mandal. It is located 18 km inland from the Bay of Bengal and 42 km to the northeast of Visakhapatnam. Vizianagaram was ruled by different Hindu emperors of Kalinga The area including Srikakulam in the north was integral part of the domain of Eastern Chalukyas of Vengi during the rule of Kubja Vishnuvardhana (624- 641). During his rule the Vengi kingdom had expanded from Srikakulam in the north to Nellore in the south. They patronised Telugu. It was under the rule of Kakatiya Dynasty of Warangal during the rule of Ganapati Deva in 13th century CE. The area was overrun by the neighbouring Gajapatis for some time. The Vijayanagara empire fought several wars and ultimately drove out the Gajapatis. The area was under the rule of illustrious Krishna Deva Raya of Vijayanagara Empire too. After a brief rule from Golconda, the rule of Nizam state of Hyderabad followed. Nizams ruled for the period 1707 to 1753. Srikakulam to the immediate north was the headquarters for revenue collection of Rajahmundry, Eluru, Kondapalli as well as Srikakulam district. The French defeated and ended the rule of Nizam in 1753, these all districts were thereafter part of French India in 1753. However French imperialists too could not hold their sway over here for a long time, and were soon driven out from here by British imperialists, during 1756 in Anglo-French wars. Thereafter the area was soon a part of British – Northern Circars An important event in the history of the district which occurred at about this time is the war between the Rajas of Vizianagaram and Bobbili, popularly known as Bobbili Yuddam. The war was fought between the MahaRaja of Vizianagaram and the Rajah of Bobbili on 24 January 1757. Rulers of this princely state belong to the Pusapati family. The village Pooshpadu in Nandigama Taluq was built by Amala Raju. The village later came to be known as Pusapadu, and the Kshatriyas living there came to be known as Pusapatis. The history of this area is linked with the history of London, specifically the movement to provide drinking fountains. The Maharajah of Vizianagram (Meerza Vijiaram Gajapatirma Manca Sooltan Behadoor of Vijianagram) funded the erection of a very elaborate gothic fountain in 1867 very close to Marble Arch on the edge of Hyde Park, which survived until 1964, but was subsequently demolished for a new road system. The architect was Robert Keirle [fl.1862–1902], who also designed a similar (listed) fountain, which survives in Regent's Park, funded by Sir Jehangir Cowasji Jehangir Readymoney in 1869 sited on the boundary of Westminster and Camden. According to the Dictionary of British Architects, Keirle was the architect appointed by the Metropolitan Drinking Fountain Association, who erected these fountains and whose archive is lodged with the London Metropolitan Archives. Excavations at this town revealed copper coins belonging to the remains of 900 B.C. 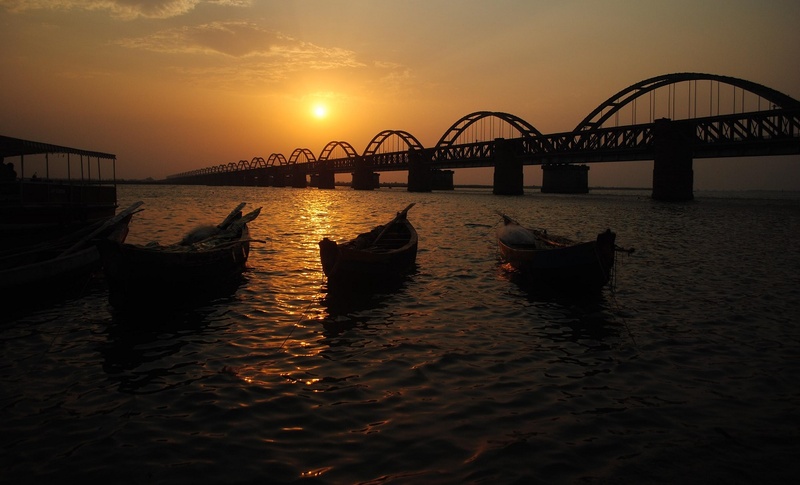 Major Rivers flowing through the city are Nagavali, Vegavathi, Gomukhi, Suvarnamukhi, Champavathi and Gosthani River. Irrigation projects across these rivers include Tatapudi Reservoir across the Gosthani River, Vegavathi project across the river Vegavathi, Vottigedda project across the river Vottigedda, Peda Ankalam Anicut and Vengala Raya Sagaram project across Suvarnamukhi, Seeta Nagaram Anicut, Denkada Anicut, Paradhi at Bobbili, across Suvarnamukhi, a tributary of Nagavali River and Andra Reservoir project across Champavathi River.